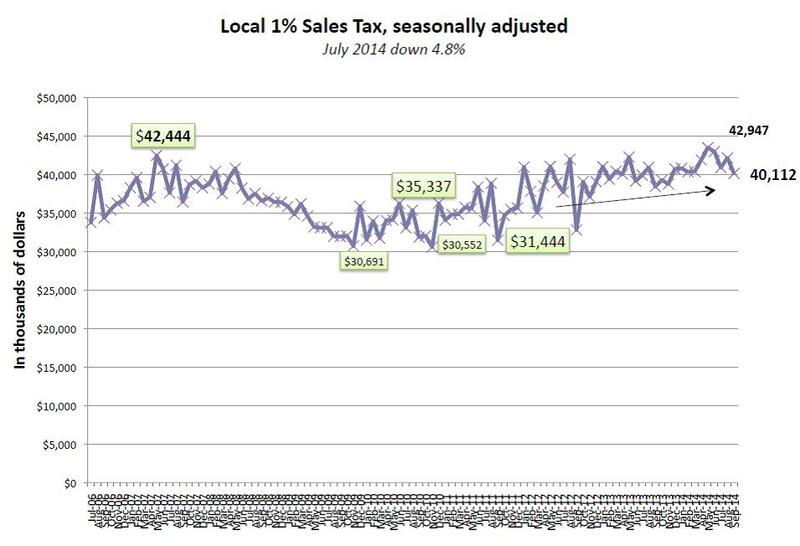 The September distribution came out a few weeks ago showing that the 1% local sales tax grew 4.4% from a year earlier at $40.35 million. The growth rate for the last three months is up 3.3%. Prospects for 4% growth should continue for the rest of the calendar year despite a recent downturn in new home building. Employment growth between 3% and 4% appears imminent and the average wage is gaining ground. Across the U.S., retail sales made a solid 5% gain in August. Salt Lake City, the largest city in the state, recorded a 3.8% gain in the September distribution, representing sales mostly in July. Similarly, Murray and West Jordan saw 3% gains. The distributions in Draper and South Jordan of near 11% suggest that their direct sales may have increased 18.5% and 16.9%, respectively. Ogden’s and Provo’s distribution were up 6.2% and 5.7%, respectively. 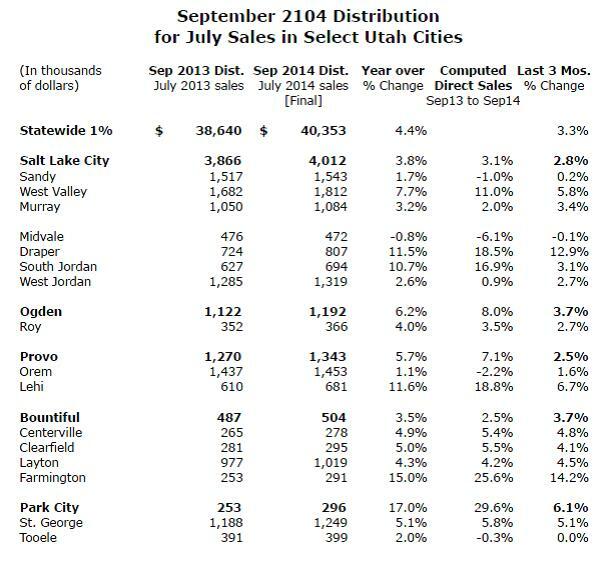 Meanwhile the near 12% gain in Lehi reflects the fact that direct sales must have increased almost 19%. Excepting Farmington where the distribution increased 15%, distributions across Davis County increased from 2.5% (Bountiful) to 5.5% (Clearfield). Park City’s distribution increased 17% and St. George’s increased 5.1% in September.